CAP BEAUTY | 10 Spring Essentials — To Be Magnetic™ | Manifest the life you deserve for less than a dollar a day. I was first introduced to CAP Beauty by one of my favorite healers, Angela Shore of Jiva-Apoha. When I looked into this company's ethics and inventory, I was so thrilled that such a space exists in the world that is exactly in line with my GROOMING standards, which are 100% pure and natural products that not only provide results but offer deep nourishment. Below you will find CAP Beauty's top 10 spring essentials to shift your coming-out-of-hibernation skin to the perfect spring glow. My heart skips a beat that some of my absolute favorite beauty artisans and alchemist make this list. Shamnuti Activated Charcoal Cleanser - We adore this cleanser. The activated charcoal in the Shamanuti Activated Charcoal Cleanser purifies the skin, while maple syrup works as an enzyme exfoliator. This cleanser is the perfect antidote to skin that is confused by the change in seasons. Black Chicken Hydrate My Face - This invigorating hydrosol from the ultra-cool Australian line Black Chicken Remedies is a favorite around here. We reach for it when we want to channel our best Bondi Beach babe. It invigorates, enlivens and wakes up the senses thanks to its base of Grapefruit Floral Water. We love to use this mist after we cleanse, to set our make-up and all day long for extra hydration and balance. Black Chicken never fails to commune us with Mother Earth and the beauty she delivers. De Mamiel Spring Oil - We are in awe of Annee DeMamiel and her exquisite seasonal facial oils. These limited edition oil and flower essence blends are hand mixed by the acupuncturist and aromatherapist in her London studio. Launched on the Solstice or Equinox of each coming season, the formulations evolve from year to year and feed our skin (and our souls) exactly what it needs for the season at hand. The Spring 2015 Oil features antioxidant rich Grapefruit, Juniper and Geranium Essential Oils in a base of Jojoba and Rice Bran Oils. The inclusion of supportive flower essences of Blackberry, Dandelion, Luffa and Tansy encourage renewal and new beginnings. RMS Beauty Buriti Bronzer - After a long winter we crave a healthy flush of color on our cheeks. The RMS Beauty Buriti Bronzer is just the thing to enliven our complexions and make us look like we spent the last few weeks lounging on the beach. Buriti Oil contains the highest amounts of Vitamin A and Beta Carotene so you’re feeding your skin while sporting the healthiest, most alluring tan. The best of both worlds. Qet Botanicals Matcha and Green Tea Body Polish - Matcha Green Tea and Mint are married in this delicious body scrub from Qet Botanicals. Raw Cane Sugar and Gluten Free Oats offer just the right amount of scrub, while Coconut and Olive Oils lend a little slip. A quick polish will leave your senses heightened and limbs tingling. May Lindstrom The Good Stuff - After months of sweaters, scarves and snow boots we could definitely use a head to toe radiance oil in our spring beauty routine. The intoxicating scent of Cocoa, Rose, Lavender and Ylang-Ylang is addictive. Jojoba, Macadamia and Olive Oils are infused with Mica to leave you positively glowing from head to toe. African Botanics Firming Body Oil - The African Botanics Firming Body Oil is another must have body product for spring. Cacao, Green Coffee, Amazonian Sacha Inchi and Polynesian Tamanu Oils work together to boost circulation, encourage detoxification and firm the skin tone. With African Botanics in your beauty arsenal you’ll be ready for bikini season in no time. Sun Potion Tocos - We had the pleasure of hanging out with Scott and Nitsa of Sun Potion at our brand new NYC brick and mortar shop a few weeks ago. They swear by Tocos all day long and supposedly eat it by the spoonful straight from the bag. If you saw their skin you would know why we’re incorporating Tocos into our spring beauty routines! The naturally sweet flavor of this beautifying adaptogen is bursting with Vitamins E and D and is a powerhouse at feeding your skin, muscles and joints. It adds a creamy sweet taste to coffee and tea, or add it to your blended drinks. It also makes an incredible mask mixed with Honey and Shea Butter or even just mixed with water. Trust us when we say this is a true beauty food. The Beauty Chef Glow Inner Beauty Powder - The Beauty Chef is a cult favorite at CAP Beauty. Australian nutritionist Carla Oates believes that great skin begins with great health and that health begins in the gut. She blends her Inner Beauty Powders from whole, bio-fermented Superfoods, and her.Glow powder is an integral part of our Spring renewal. Bursting with vitamins, minerals, antioxidants, fiber, pre and probiotics, it’s designed to feed your skin from the inside out. Agnes Baddoo Everywh’air No. 9 Renew - Spring is all about renewal. Why not let the power of flowers help you kick start that process? The Agnes Baddoo Everywh’air No. 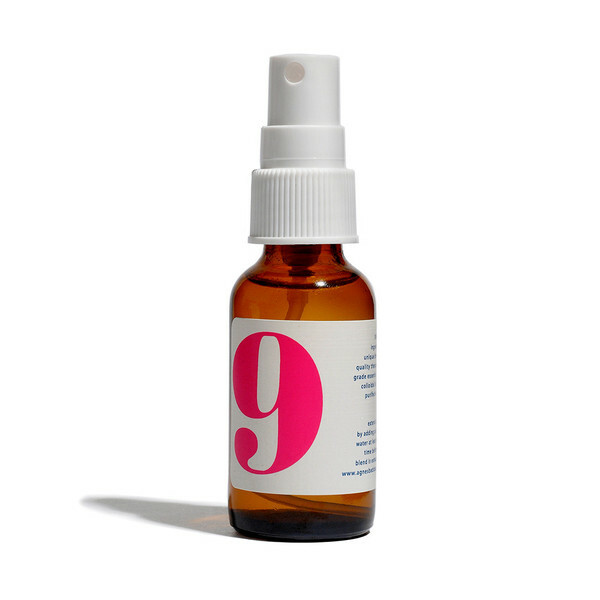 9 Renew mist is bursting with notes of Rose and Sandalwood to ground, refresh and reconnect you with nature. Mist it on yourself, your home or even your yoga mat for a mid-day reset and a gorgeous welcome to Spring.